Bold flavors make the trek to Haci worth it. Dark horse restaurant wins are such a boon, even better than an unexpected basket of bagels at the staff meeting or finding a crumpled five-spot at the bottom of the wash. Maybe it’s something to do with that delightfully old-school modus operandi of underselling and over-delivering. Yes, it still occasionally happens—despite the common glut of over-tweezed preview pictures, cattle-call media events, and endless streams of soft-opening selfies on Facebook—that an ambitious restaurant can open for business and slip under the radar of this careful critic. Take West Chester’s Haci Grill, which opened in June with little of the PR blitz you’d associate with a downtown spot of similar magnitude. Co-owners Naile Panayirci and Comert Ardic, who met through Panayirci’s father, have placed a shrewd, calculated bet. 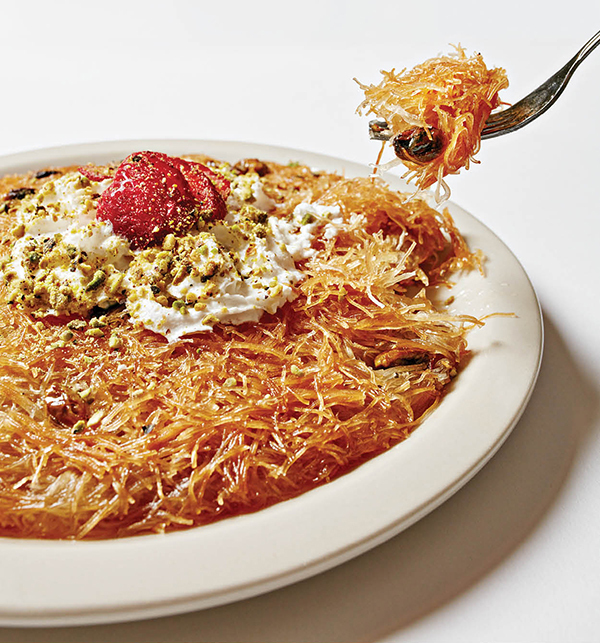 Their stretch of Tylersville Road supports a thriving Middle Eastern community—a halal grocery store, a mosque, an Islamic community center, even another worthy competitor, Sultan’s Mediterranean Cuisine—and word of mouth is cheap and reliable advertising. It appears to be working. 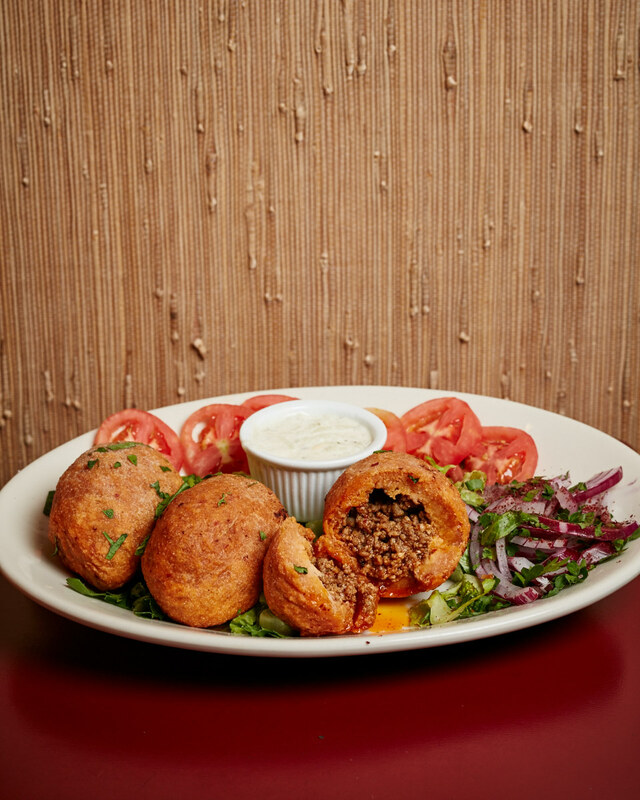 There’s a humble yet focused confidence that permeates Haci Grill, which suggests Panayirci and Ardic are committed to the long haul. Sand-colored walls surround a spacious hundred-seat dining room festooned with heavy red-and-white-clothed tables and bamboo window treatments. Entrées are served in hefty copper chafers. Even the take-out menus are printed on vivid, glossy cardstock, a sign these owners have invested heavily. The restaurant’s very name, the Turkish word for pilgrimage, announces itself as worth a trip. Faith in the cuisine is well-placed. Ardic is an experienced chef, with stints in New York, Chicago, and Atlanta. 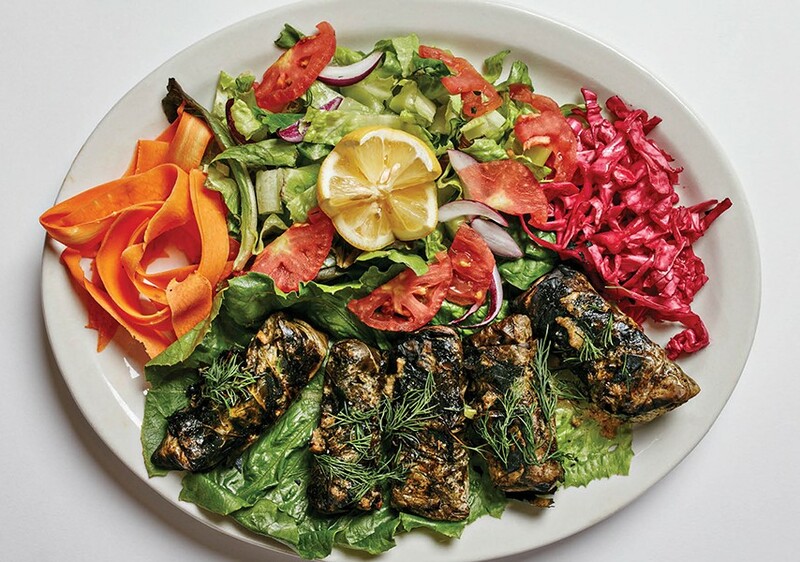 He has a knack for corralling intense flavors that outshine individual ingredients and his riff on humble Turkish classics creates a menu full of surprises. The first surprise? Adult beverages. Despite the Muslim proscription against alcohol, Turkey sports a proud viticultural history, bearing dozens of native grape varieties many Westerners have never heard of, and Haci is more than happy to make the introductions. A short wine list highlights several native sons, including Kavaklidere Yakut—a ripe, full bodied red blend with hints of strawberry, along with a Kavaklidere Çankaya, which the menu calls “persistent and well-balanced.” I love it when wine lists, even modest ones, take a second to suggest a pairing or two, and I felt much safer being reminded that the Çankaya would stand up to many of the dishes heavy with the acidity of lemon and tomato. If Mediterranean dining is your thing, you’ll know that bypassing the appetizers is a fate worse than death. 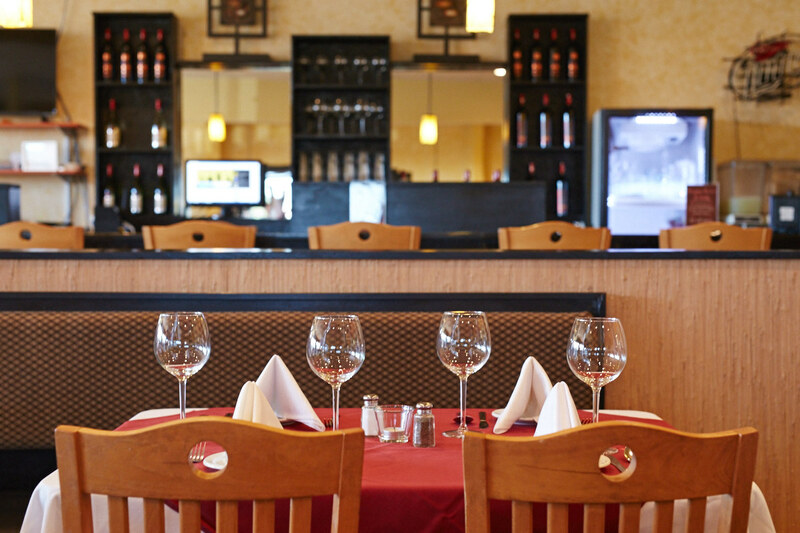 Plan to dine with a group and sample as many as you can. While not as ubiquitous as hummus, carrot tarator is a must-try—a mild yogurt spiked with shreds of fresh carrot that delicately sweeten an otherwise one-note tang dip. Thankfully Haci’s tabbouleh does not make use of Vegan Aunt Sally’s punitive instant bulgur but instead features the more authentic red cracked wheat, which is flash-cooked in a tomato broth before tangling with the parsley. Fans of baba ghanoush will find that Ardic is an eggplant whisperer, sussing out nuances of earthy sweetness from the under-loved nightshade fruit instead of falling prey to the amateur mistake of allowing the campfire-flavor to dominate. In the “eggplant in sauce,” Ardic casts the purple one as the brute, adding an ideal contrast to the sweetness of roasted tomato and red and green bell peppers. 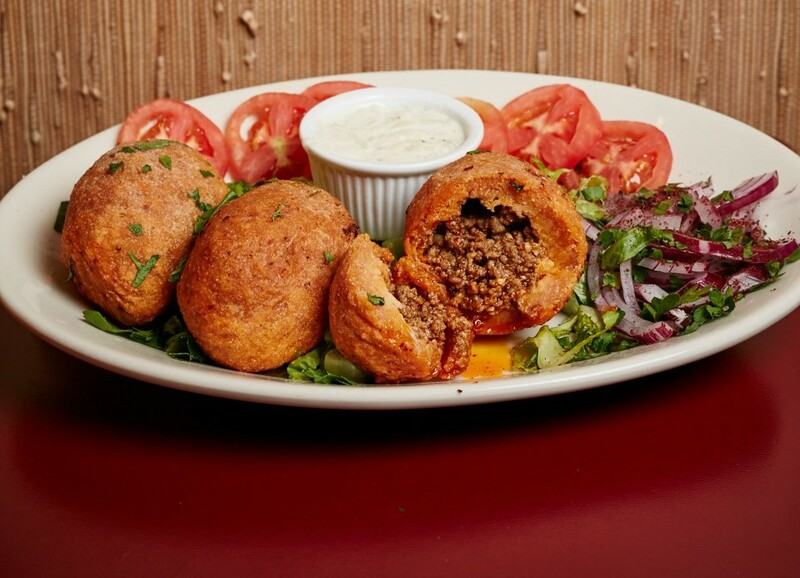 Fun as it is to graze, I’d happily fuel up with the burly falafel platter. Atomically dense chickpea patties stay succulent thanks to a mince of garlic, celery, pine nuts, and onion. Another hearty pleaser is the creamy shrimp casserole topped with lightly broiled mozzarella and studded with dill. But Ardic’s kebabs are the stars. Ardic and Panayirci guard their recipes doggedly, yet a mild seasoning redolent with garlic and Aleppo pepper announces its presence in all varieties of kebab. The different textures are astonishing. Doner kebabs are reminiscent of a gyro, with whole slices of pressed lamb and veal vertically sliced from a rotisserie. 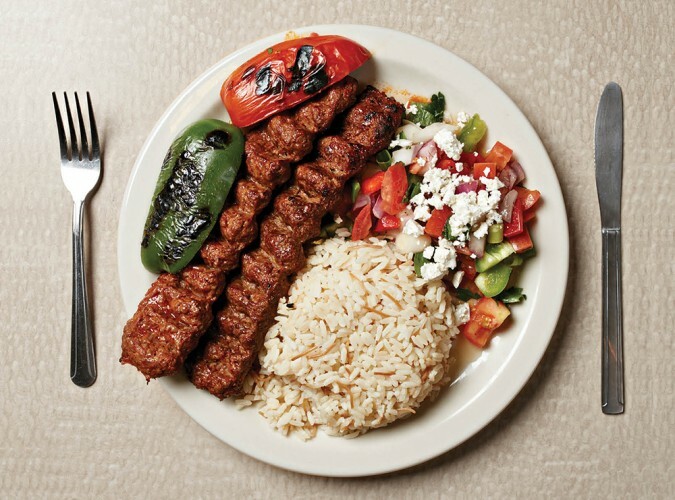 Traditional shish kebabs feature succulent whole cuts of chargrilled lamb, while the kofte finds ground beef and lamb pressed into a patty and grilled tender—yielding a crust that’s impossible not to love. Then there are the yogurt kebabs: Tender, chargrilled meats are tossed with house-made yogurt and flatbread croutons, then topped with a tomato sauce. The iskender version utilizes a lamb, beef, and veal combination to absolutely stunning results—an unexpectedly comforting dish that I can’t wait to tuck into again. Which is why it never ceases to amaze me how rarely I feel overly full after eating Middle Eastern cuisine. I’m perfectly content with a Turkish coffee and a lingering conversation to send me out the door, but a few of Haci’s desserts are worth noting. A bowl of pert, walnut-studded chocolate pudding will easily feed an army, and the rice pudding showed promise with a gentle brûléed layer atop a rich, if slightly bland pudding base. Sadly, a made-to-order baklava felt inconsistent, each bite veering from masterful crispness to cloying sogginess. 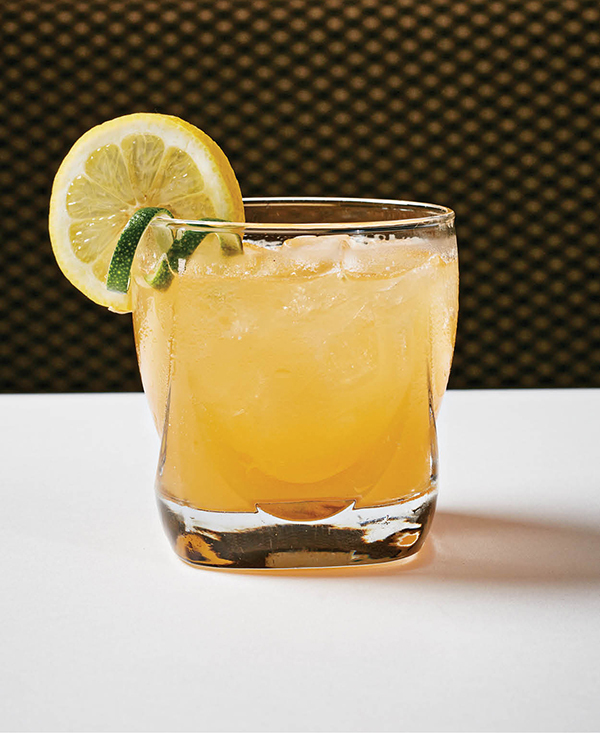 I refuse to let a place like Haci Grill stay secret forever—it might not make it, and that would be a terrible shame—so allow me to spoil the surprise. Sure, there’s good food all over town, but it’s thrilling to see dynamic, chef-driven places sprouting up so far away from the rest of the crowd. And with a name like Haci, consider this an urbanite’s engraved invitation to make a pilgrimage to West Chester. It’s worth it. 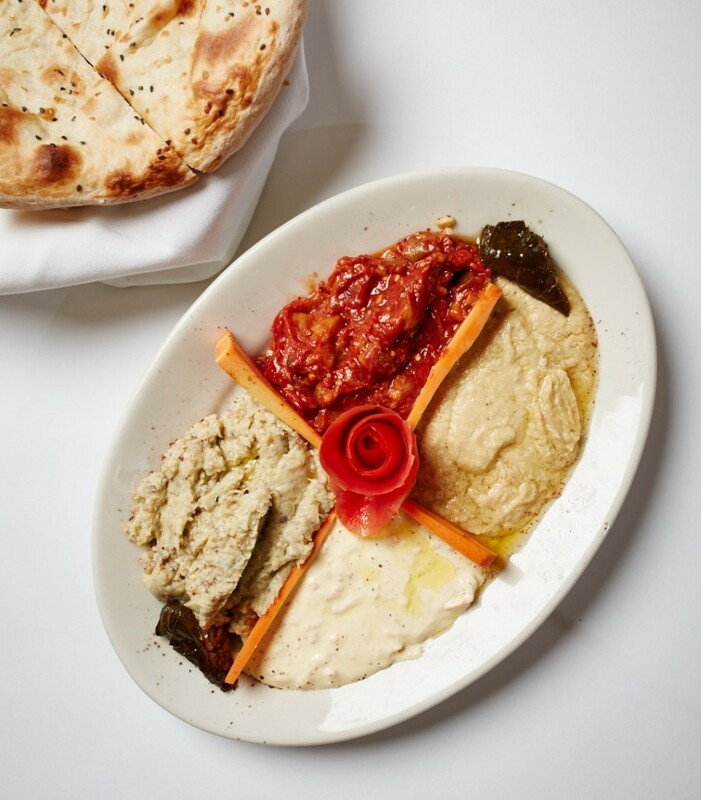 Vividly-flavored Turkish classics served in understated elegance. Service is not just attentive, but genuinely kind, and the Sunday night belly dancers are not to be missed.